12-13 million people enter India's labour market a year. Will #Budget2016 make a dent in this figure? In this year's budget, Arun Jaitley has focused on generating employment opportunities. Quite rightly, too. 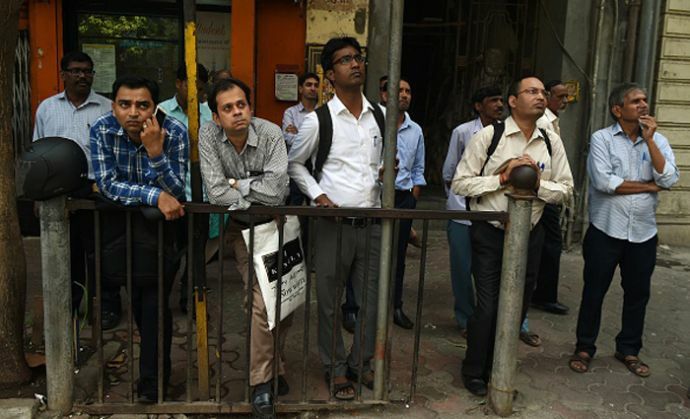 For India, employment creation is a huge challenge. Nearly 12-13 million people enter our labour market every year. But given the backlog of people who have been unsuccessfully searching for jobs for years, the number of job seekers is growing faster than the population growth of the country. The past trends in employment creation haven't been encouraging, and have failed to provide jobs to the youth at a desired pace. Agriculture still provides employment to nearly half of India's workforce. Outside agriculture, growth in employment has picked up over the years, but a large number of the Indian youth are still without jobs, simply due to poor skills training. That's not all, even a fifth of people with technical degrees and diplomas are unemployed. So, what does Jaitley propose to do about this? The approach adopted in Budget 2016-17 to tackle unemployment centres around four sectors - agriculture and rural economy, infrastructure, start-ups, and skill development. Considering the distress in rural areas, the promise to double farm sector incomes by 2020-21 is timely. It's likely to help retain the interest of rural masses in agriculture. On the whole, the allocation of Rs 35,984 crore for the farm sector is expected to address the agrarian crisis in the countryside. Infrastructure development is likely to get a huge boost with a budgetary allocation of Rs 2,21,246 crore. Of this, Rs 19,000 crore is for Pradhan Mantri Gram Sadak Yojana, which aims to build and expand rural road networks. Rs 87,765 crore is earmarked for various rural development programmes, including for digital literacy. #Budget2016 allocates Rs 35,984 crore for the farm sector. Will it mitigate our agrarian crisis? To promote "enterprise development" among SC/STs, this budget allocates Rs 500 crore for Stand Up scheme. It also proposes a National SC/ST Hub to provide professional support to SC/ST entrepreneurs. The government will pay for three years the EPF share of new employers for their staff drawing a salary of up to Rs 15,000 a month. To better finance micro and small enterprises, the disbursement target of PM MUDRA Yojana has been enhanced to Rs 1,80,000 crore. Also, MSMEs with a turnover of Rs 2 crore have been exempted from tax, and changes are being introduced in custom and excise duties to promote such enterprises. The budget enhances the allocation for skill development and proposes to open 1,500 new Multi Skill Development Centres next year. Similarly, the emphasis on the quality of education and the proposal to enable 10 public and as many 10 private institutions to become world-class teaching and research centres is a welcome step. At least 100 module career centres are proposed to be set up to provide career guidance to the youth. The increased budgetary allocations aimed at accelerating agriculture growth, and rural and infrastructure development can be regarded as the desired steps towards generating employment that the BJP had promised in its election manifesto. Growth in the rural economy and infrastructure development will certainly boost employment generation and, thereby, increase the demand for goods and services in the coming years. Much, though, will depend on how fast and efficiently these allocations are utilised for timely completion of projects. Rapid infrastructure development can have a multiplier effect on improve employment generation, incomes and the general quality of life. But generating employment is one thing. The bigger challenge is to ensure that the jobs are decent and come with minimum social security benefits. Job quality in both public and private sectors has deteriorated over the years with ever rising casualisation and contractualisation. Most of the jobs being generated now are contractual/casual without any social security benefits. And with the emphasis on "minimum government, maximum governance", the public sector's role in employment creation is likely to erode further. Moreover, the kind of jobs the educated unemployed are looking for are unlikely to be created by big industries in the coming years. In fact, major employers still claim that a great number of job seekers are unemployable despite the significant progress made under the skill development mission. Also, most employers are always looking to reduce labour costs. Besides, the global economic slowdown is likely to hurt export industries and, thus, hit job creation. It is, therefore, essential to pump up the domestic economy by creating effective demand through more redistributive policies of income generation and social security. On the whole though, making employment creation central to economic development, as this budget has done, is a welcome step. And the coming budgets need to systematise this.